The existence of every Shimansky jewellery creation owes itself to founder, designer and creator, Yair Shimansky. World-renowned for incomparable quality, a leader in innovation and legendary for meticulous craft, only the finest hand-selected diamonds and gemstones are chosen for Shimansky designer jewellery creations. Reflecting the celebration of your most precious moments, Shimansky jewellery designs are a masterpiece to treasure forever. 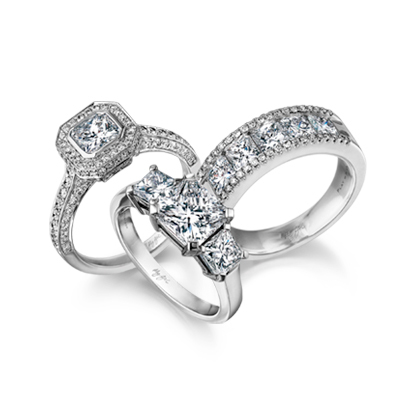 Find the perfect Shimansky diamond engagement ring that suits your style and reflects your love.